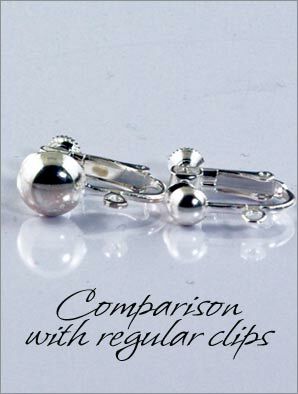 Features: Our most popular clip findings now in a larger size! 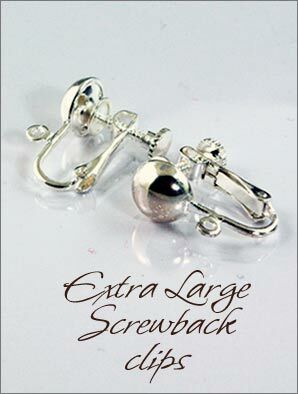 We have received many requests for large clip findings that can be used with your diva sized earrings. We got them! 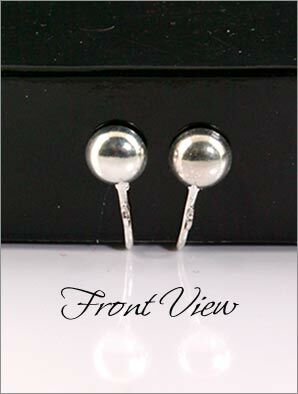 These silver plated clip findings are large (9mm front ball) and great for people with strong features. They have screw backs providing you the ability to control the tension to your earlobes. Please note the difference from our regular screw back clips, and make sure your earrings have a dramatic bold style and size to counter-balance the clips.